The NHS spends billions of pounds on temporary stafﬁng each year. The existing process of ﬁnding and matching available doctors to short term positions is inefﬁcient and ineffective, leaving hospital administration staff spending hours advertising vacancies to a limited pool of doctors, and outsourcing to expensive agencies when they can’t recruit. Inadequate temporary stafﬁng costs each trust £850,000 per year on average. 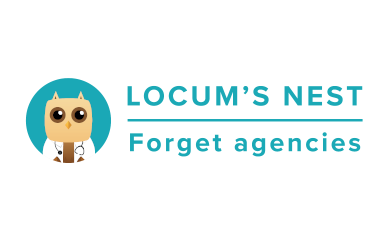 Locum’s Nest is a staff bank management web and mobile app that connects healthcare professionals to temporary work in NHS organisations. Locum’s Nest has pioneered the way for the NHS’ first truly collaborative digital staff bank with fill-rates exceeding 90% trust-wide. This has resulted in use of agencies reducing, surpassing £2.5m each year. If every NHS Trust in the NHS were to partner with Locum’s Nest, it could save the NHS over £500M in the first year by reducing the need for expensive agencies. This is based on statistics from Royal Surrey County Hospital NHS Trust, and Ashford and St Peter’s NHS Foundation Trust saving £4.9m in their first two years, and £3.2m in their first year respectively.